Adjusts to accommodate stand-up or sit-down presentations. Bottom shelf provides ample storage. Four-outlet electrical surge protector provides convenience and security. 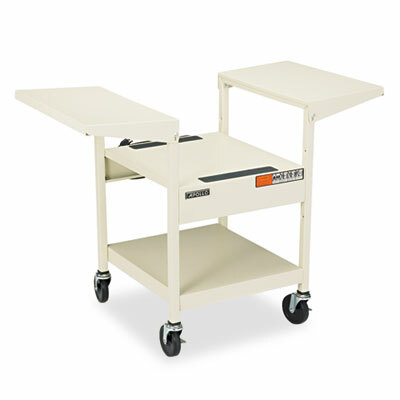 Adjusts to accommodate stand-up or sit-down presentations. Bottom shelf provides ample storage. Four-outlet electrical surge protector provides convenience and security. Durable construction ensures strength and stability. Wheels provide easy mobility.